One of the best wineries along the Nahe river is Weingut Emrich-Schönleber in the village of Monzingen. 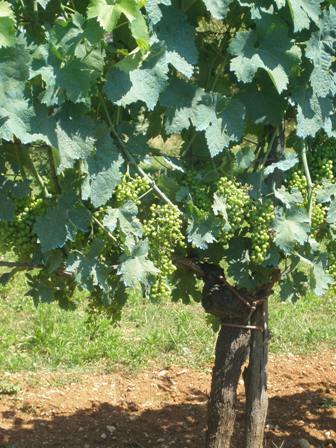 The family vineyards (about 33 acres) produce great wines, mostly Riesling. In 2010 the Gault Millau Wine Guide gave 10 of the 17 wines of the Emrich-Schönleber Estate 90 or more points. The wine writer Jancis Robinson was extremely impressed by the ‘2009 Halenberg Auslese’. 19.5 of 20 points was her verdict which is truly awesome. Recently we visited the winery. Coming straight from Frankfurt Airport, we drove along the Nahe wine route, passed Bad Kreuznach, and spontaneously dropped in to pick up some bottles of wine. In the yard, we bumped into Mr. Emrich-Schönleber senior, who was on his way out. In passing he referred us to his wife who was so kind to introduce us to the wines of the estate. Since it was early in the morning, we did not feel like tasting wine (we just came from breakfast in the small town of Sobernheim). Moreover, after many hours of flight, we had just gotten off the plane. Our selection was quick but firm. I knew some of the ‘grand cru’ locations of Monzingen. After all, I had spent most of my school holidays in the neighbouring village of Martinstein where my maternal grandfather (Hans-Heinrich Schuessler) had introduced me to the amazing world of Nahe wines at a rather tender age. 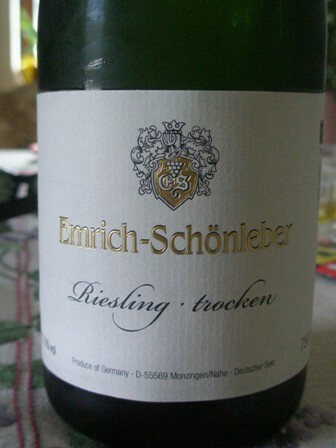 We chose a nice cross section of Emrich-Schönleber’s wines including two sparkling ones. Ms. Emrich-Schönleber was so kind to add a small bottle of sweet desert wine as a gift. We were flabbergasted. 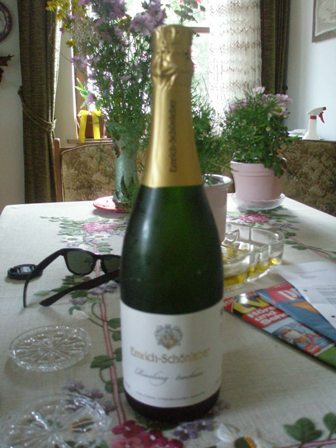 The bottle of Riesling Sekt (Sekt is German for ‘sparkling’) below did not last long. Only after a couple of hours, when the bottle was sufficiently cold, we opened it to celebrate the start of our holidays in Trier. What an auspicious start to a summer holiday in Europe? 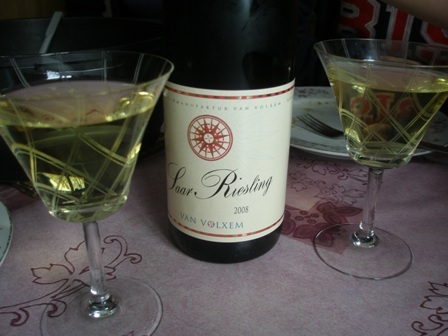 The Riesling Sekt is produced using the classical method of bottle fermentation. Everything is done by hand. Due to the acidity of the Riesling fruit, the wine displays a beautiful spectrum of fine acids. Moreover, it is dry and fruity with lots of fizz. 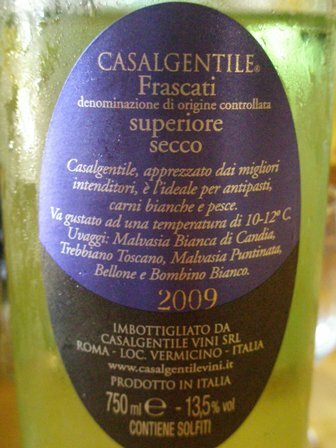 The magnificent minerality of the wine is another characteristic. Nahe wines, especially the Rieslings, are one of the best kept secrets in Germany. You should visit this internationally little known wine region. It’s just about an hours drive west of Frankfurt Airport. I promise you: you will not regret it. On our way from Rome to Florence we visited the small town of San Gimignano in Tuscany. It was a beautiful day with blue sky and lots of sunshine. We were not the only people to visit this picturesque jewel of Tuscany. 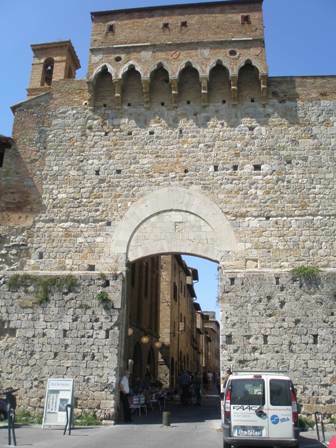 The town if famous for its medieval architecture and especially its towers. 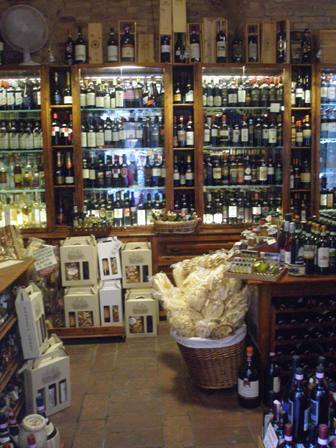 There are also many shops in San Gimignano catering to the many tourists. 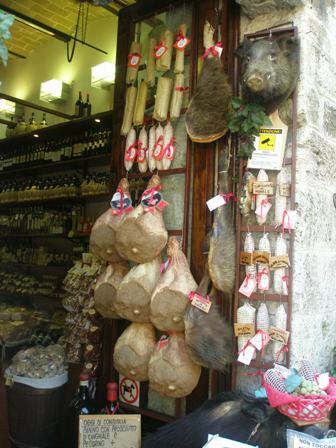 I could not resits the wine shops, but there is also plenty of prosciutto and beautiful local crockery on offer. I had also to taste some of the wines. 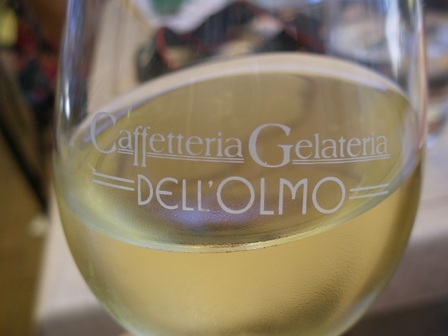 The Caffetteria dell’Olmo was just the right place to enjoy a cold drink located on the main square of the town. 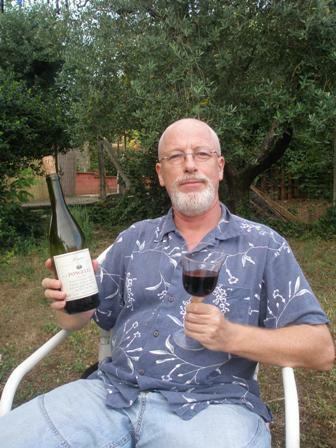 I ordered a glass of ‘Vernaccia di San Gimignano’ considered one of the finest Italian whites. This was a crisp wine with a fine acidity. On our way back to the car, I had to buy at least some wine. I bought a white and a red wine, both not very expensive. I asked for products of a typical local producer. 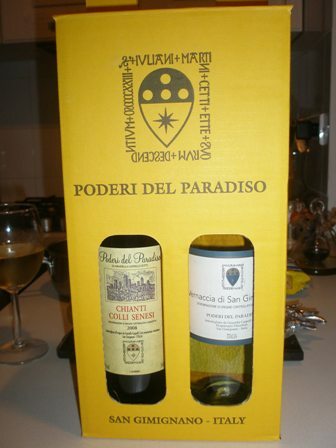 The lady in the shop suggested Poderi del Paradiso which sounded just fine. 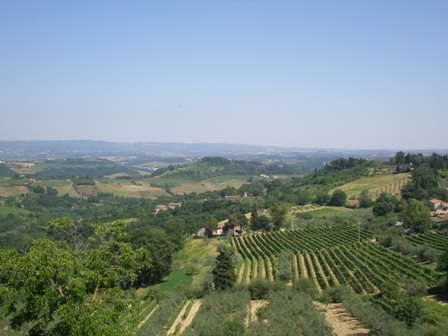 You will learn more about the wines of Poderi del Paradiso in another blog entry. I very much regretted that we did not have more time, but even these 2-3 hours were absolutely worth it. San Gimignano is a place I have to come back to. While in Germany I ate a lot of “bush meat”. This is because some of my friends practice hunting as a hobby. Hunting in Germany is very much steered by tradition. One of these traditions is that when a roe deer was shot, the liver needs to be eaten the same evening or right after the kill. There is nothing better than a fresh liver. This is what we had at the home of my friend Uli in the “Muensterland”, a German agricultural region north and west of the Ruhr, the old industrial heartland of Germany. 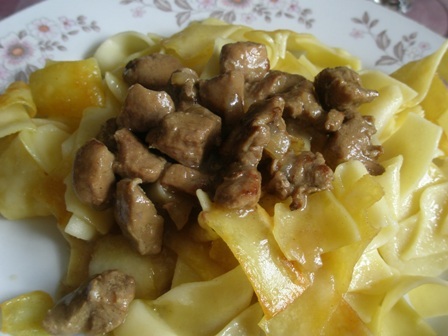 Uli’s mother Doris prepared such a fresh roe liver for us for breakfast. 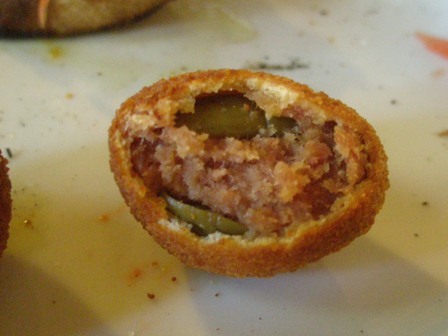 It is usually served with onions (and some people add optional apple). Unfortunately, my photo of the dish with the onions did not work out. Above you’ll find just the liver in the pan. I can only say: super delicious. Since we consumed the liver in the morning, we did not have wine with it. A characterful Riesling wine would always go with it, but also a Pinot Noir could be a good choice of wine. Thank you aunt Doris for this delicious meal. Grape vine leaves can be used for many different things; to wrap food, for instance rice (known as Dolma, Dolmathakia Lathera, etc.). They are also popular for various decorative purposes. 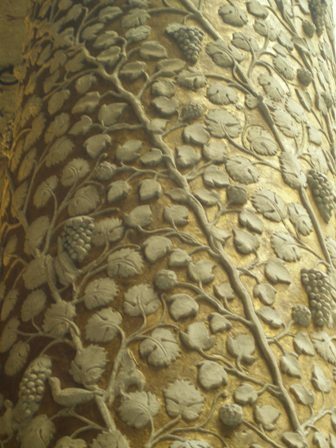 The pillar below was decorated with vine leaves and grapes. 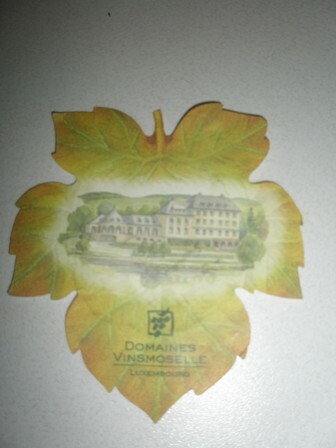 During my recent trip to Europe I also found coasters in vine leaf shape when I was regaled by an Elbling wine in Echternach, Luxembourg. 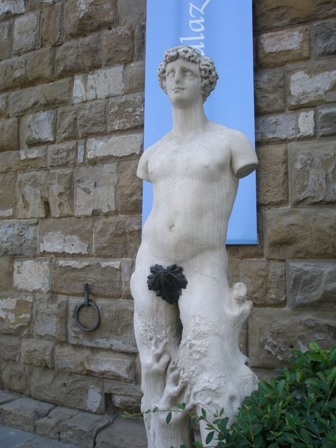 Many of the antique statues we have seen in Italy needed the grape vine leaves to cover delicate body parts. Isn’t this innocent leaf, pure organic of course, a very useful item nature has bestowed on us? 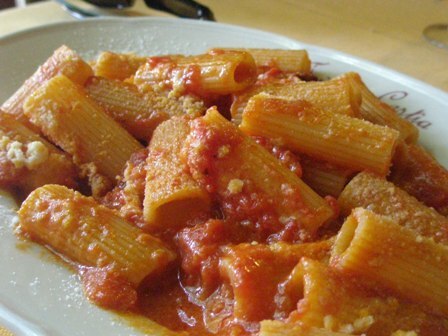 While working at FAO and living in Rome at the end of the 1980ies, our main restaurant was Taverna Cestia, near Piramide, just a couple of blocks from the United Nations. We went often and all the waiters knew us very well. Usually that meant that we did not have to look at the menu (they knew what we liked to eat), and if we stayed longer than the opening hours permitted, we were somehow accommodated (usually the offering of burning ‘Sambuca’ signaled that it was time to go home). So it was clear that when in Rome, we would go and eat there. And that’s what we did during our summer vacation 2010 as well. It was a very hot day. We had shown our daughters the Terme di Caracalla. We were thirsty and needed refreshment. 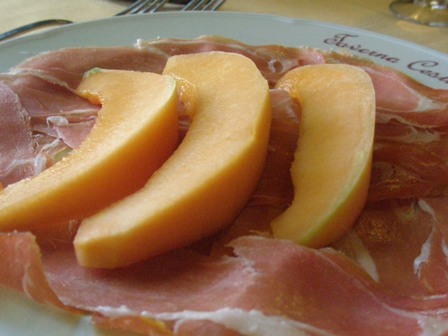 ‘Melon with prosciutto’ and ‘bruschetta di pomodori’ are just the right stuff to start a meal. 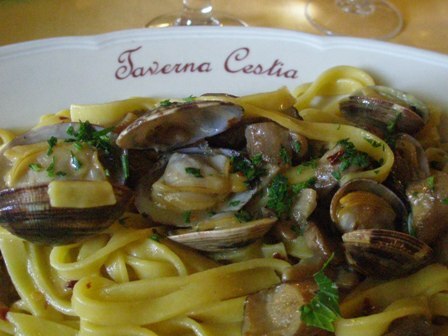 Taverna Cestia is famous for it’s ‘spaghetti alle vongole’, but I always liked also the ‘penne al arrabiata’. In the past we always ordered a liter of house wine, usually a white wine in summer (a refreshing Frascati) and a red one in winter. 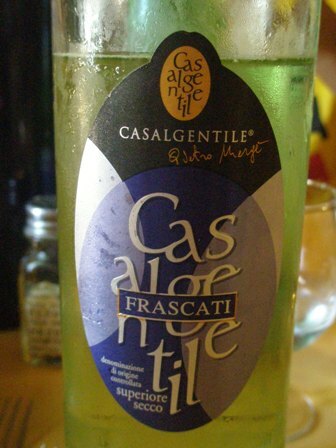 Also this time we had a bottle of this divine liquid. We did not regret our choice. 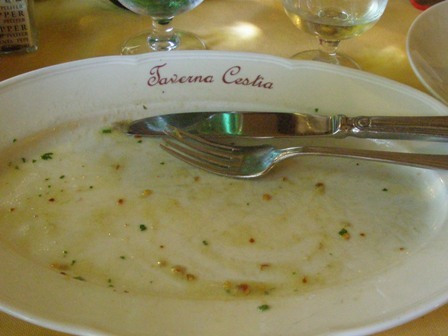 That the food at Taverna Cestia is very good is proven by the next picture. Tripadvisor awards four out of five stars. 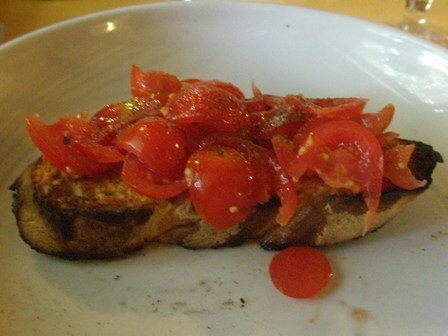 Taverna Cestia Di Salvi Gioacchino C.
My stories from July and August do not come in any particular order. When arrived in early July in Trier at my mother’s place we were greated by a feats, as always. And beecause her partner Heinz is a hunter we often eat game. 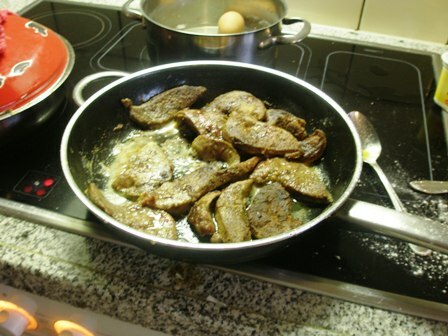 This time it was venison from a German roe deer (in German: Reh) he had just shot. 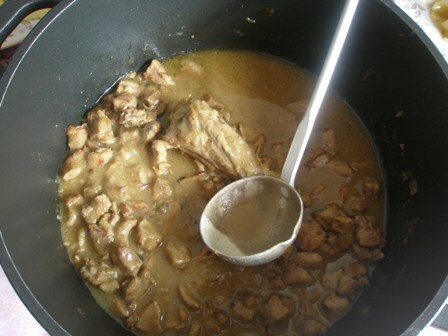 Needless to say that my mothers cooking is just delicious as you can see from the pcitures below. The wine I choose for this meal was a Riesling from Van Volxem Estate in Wiltingen, near Schoden (where the venison was from), one of my favourite producers from the Saar. Tough this is just a “simple” wine, it deplays all the character of a Saar Riesling, fine and delicate which machted the tender venison just perfectly. You are currently browsing the The Man from Mosel River blog archives for August, 2010.